Borobudur Temple was lost for centuries until it was found again, covered in overgrown jungle. 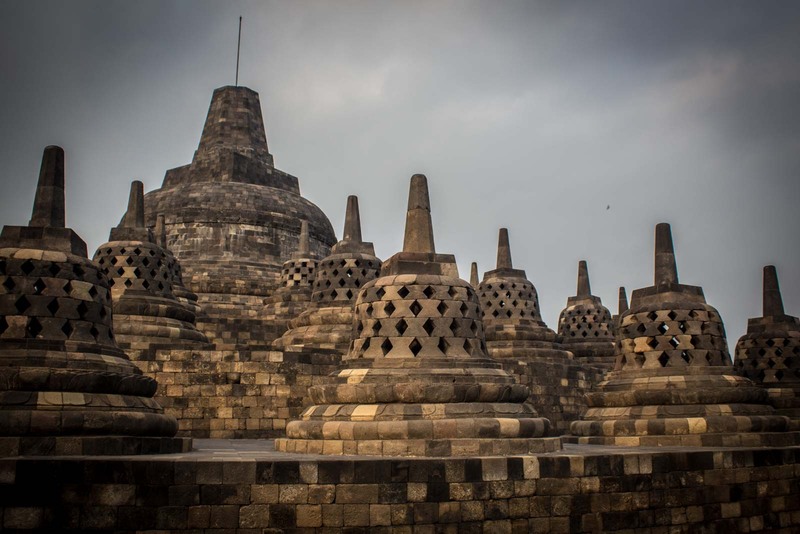 Now the world’s largest Buddhist temple is open to the public and you can visit it with a Borobudur tour! High on a mountain in Central Java, Borobudur Temple rises up towards the sky. In Buddhist belief, the closer you are to Heaven, the closer you are to the gods. And as you climb the steps of the temple, the jungle landscape of Indonesia revealing itself in every direction, you can understand how the people who built this masterpiece felt more connected to the ethereal than the earthly. The world’s largest Buddhist temple is made up of five large square terraces, with three circular platforms on top of them, and then a magnificent stupa at the very top. From a distance it is stunning… but close up the true magic is revealed with intricate carvings on the walls throughout the whole complex. 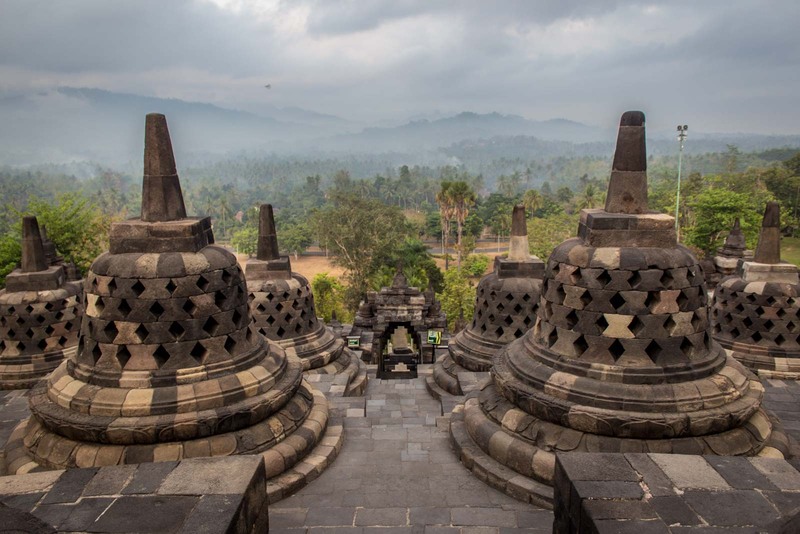 Borobudur was built at some point in the eighth or ninth centuries but we don’t know the exact date because there’s no written record of its construction. It’s interesting because this was a period when religion in this part of Java was in flux. Hindu was still a popular faith and, in fact, the enormous Hindu Prambanan Temple was being built not far away at the same time. Indigenous religions also still had a hold in many parts of Central Java. And Buddhism was growing in power, with the driving force coming from India’s influence. 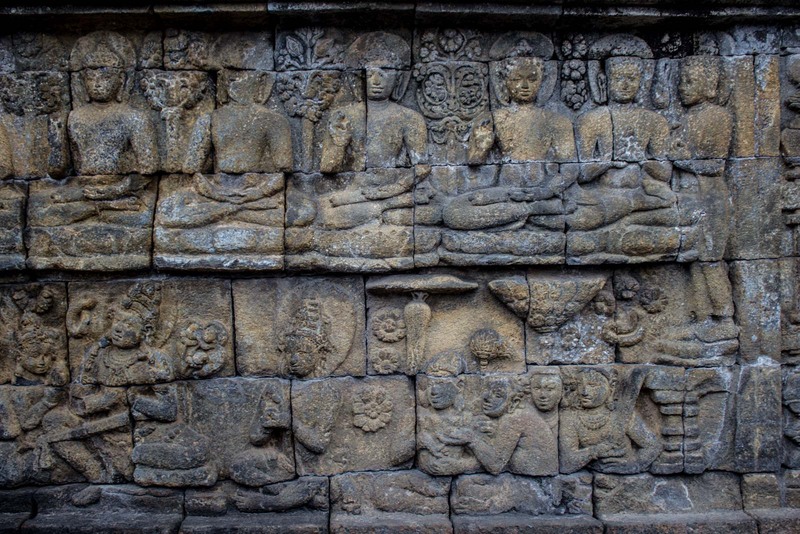 At some point in history, Borobudur Temple was abandoned and left to the wilds of nature. It’s not clear exactly when or why this happened. It could have been as early as the 11th century when the kingdom’s capital was moved because of earthquakes. Or it could have been closer to the 15th century when Islam became the dominant religion in the region. Regardless, what we do know is that for at least five hundred years the jungle was all that climbed the steps towards the celestial. Trees, vines, and animals overtook one of man’s greatest creations and embraced the rocks again. The temple became hidden from the eyes of humanity. It wasn’t until 1814, when Java was under British control, that the English governor, Thomas Stamford Raffles, heard stories from local villagers about a mysterious and abandoned structure. He sent his people to investigate and for two months a team of 200 men had to cut down trees, burn vegetation and dig away at the earth to reveal the temple at Borobudur. But, despite this discovery, it wouldn’t be for another 160 years that there was any real concerted effort to protect and restore the world’s largest Buddhist temple. Until the 1970s, there were small restoration projects but there were also far too many instances where people were allowed to take away parts of the temple as souvenirs! And by clearing all the jungle away from the site, the temple had been exposed to the elements and was being damaged by the weather. 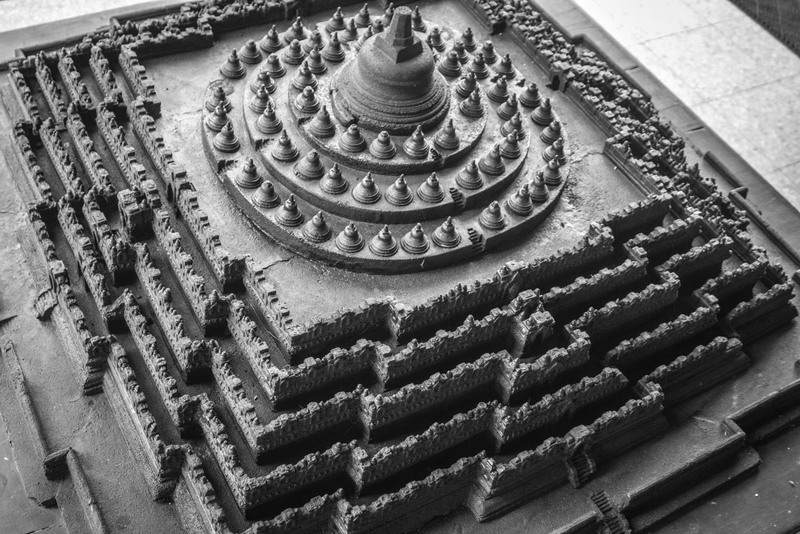 In 1975, a complete restoration of Borobudur Temple began. 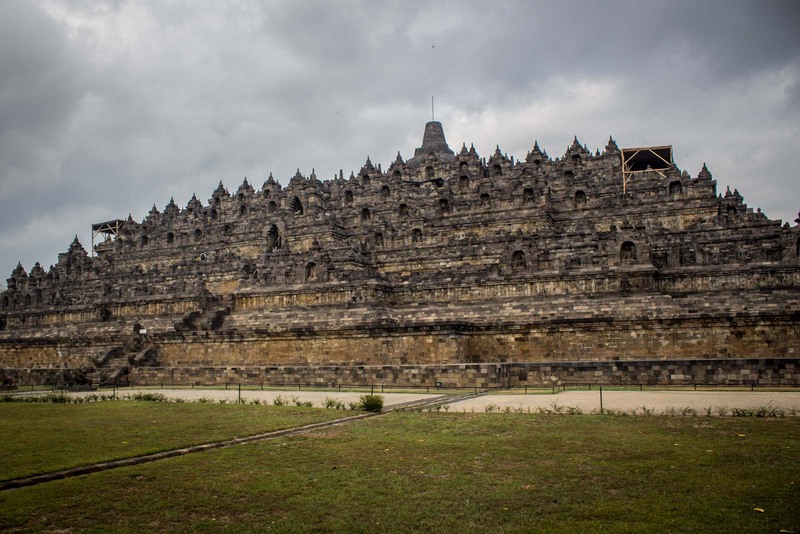 Led by UNESCO and the Indonesian Government, it had funding from five other countries. The whole project took seven years to complete, with more than one million stones dismantled, cleaned, catalogued, and put back in place. Visiting Borobudur today, it’s hard to understand how something this large and spectacular could have remained hidden for so long. But there’s a certain enchantment in imagining you are the explorer who finds it for the first time in centuries. It’s slightly easier this morning because I’ve come before the official opening hours to climb to the top in time for the sunrise (a privilege for which you pay a higher admission fee). There are only a handful of people here and there’s a peace and serenity fitting for such a spiritual place. 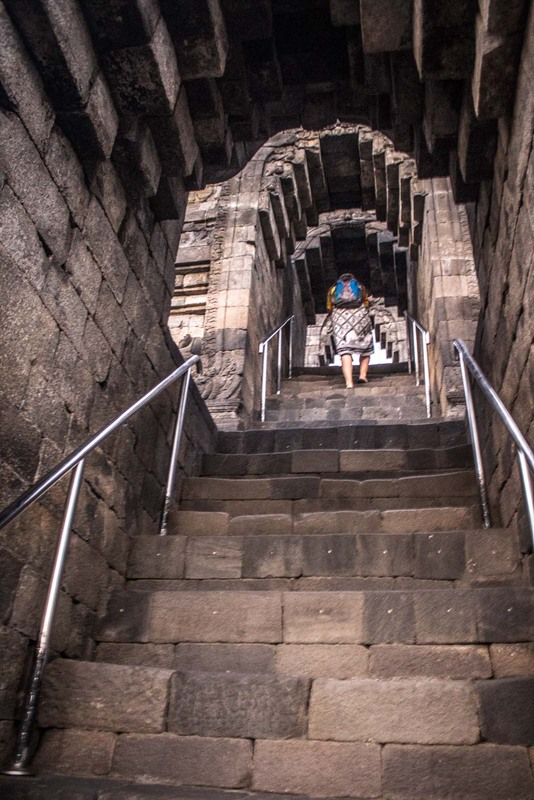 I’m told by some tour guides that the site gets absolutely packed during the day – to the point where it’s hard to even climb up the narrow and steep staircases, let alone lose yourself in the moment. I’m glad that’s not going to be me. As the sun rises in the sky, it’s obscured partly by this morning’s cloud cover but rays are starting to break through and illuminate the structure and the surrounding lands. It’s still very quiet at the top of the temple and slowly it’s becoming lighter. Around me, inside 72 small stone stupas, are 72 seated Buddhas. They turn from shadowy silhouettes into glowing images of divinity as the morning progresses. Only one is uncovered (I’m not sure why) but the rest seem protected and disconnected from the daily pilgrimage of the tourists. 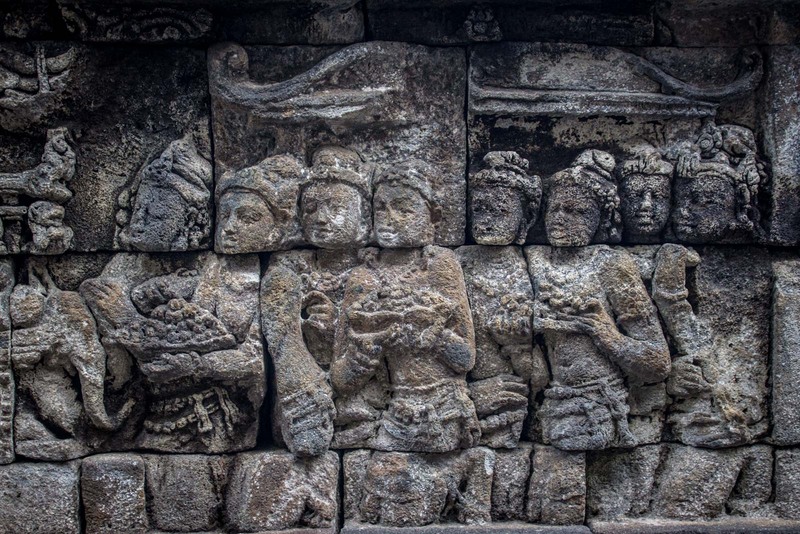 To do a proper Buddhist pilgrimage of Borobudur Temple, you are supposed to start at the base and follow a particular route that takes you past the relief panels carved in stone (there are more than 2,500 of them) and the statues of Buddha. You should go up each of the levels one by one, a symbolic path from the world of desire, to the world of forms, to the world of formlessness. Most visitors – myself included – don’t do this, though. There’s enough to see without walking along every step of this five-kilometre pilgrimage route. Although it is tempting to explore different parts to get away from other tourists as the main gates open and more people come in. The Borobudur Temple complex is now the single most visited site in Indonesia (although the majority of tourists are Indonesian). But the increasing numbers are presenting challenges and the authorities are looking at ways to manage any potential damage to the site. Something so intricate but also so large, abandoned for so many years, needs a lot of love and care. Being closer to Heaven doesn’t make it immune from the hands of man. Getting to Borobudur from Yogyakarta is not simple, unfortunately. 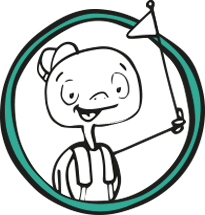 But there are a few different ways depending on how much time and money you have up your sleeve. The cheapest but least convenient way is to go by public bus. The buses leave from Jombor terminal in the north of Yogyakarta, will take 90 minutes and cost Rp30,000 (US$2.10). However, the first bus leaves at 06:00 so you won’t be able to make the sunrise (which is quite special). In the tourist areas of Yogyakarta, you’ll find quite a few local travel agencies that offer minivan transfers to Borobudur. The cost will probably be around Rp75,000 (US$5.50) for a return trip and there should be departures that get you there in time for the sunrise. This is probably the best option for the budget-minded. 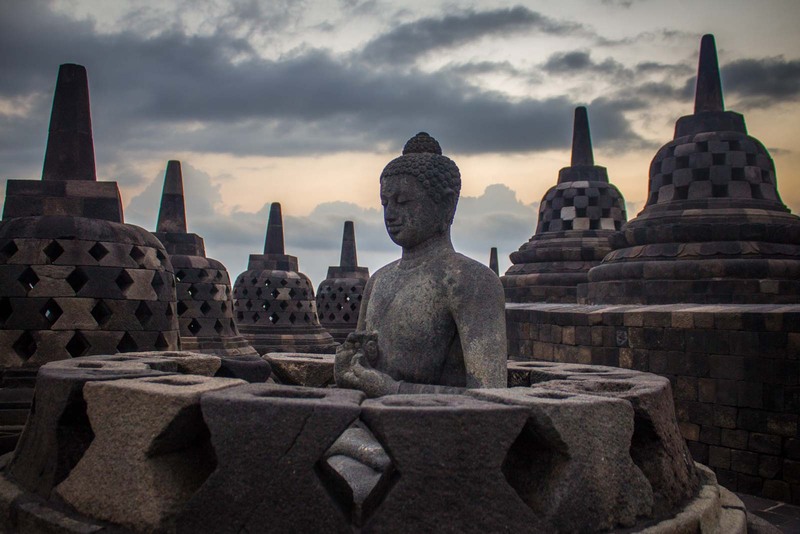 You can also hire a driver/guide to take you to Borobudur in time for the sunrise – and to some of the other main sites you may want to see in the area that day. This is much more expensive option but is also much more comfortable and convenient and is a good option if you are short of time and want to make the most of your holiday. How much does it cost to visit Borobudur Temple? For a regular ticket for foreigners, it costs Rp325,000 (US$22). For students, the cost is Rp190,000 (US$10). The tickets to see Borobudur Temple for sunrise are sold directly by the hotel that is located on the site. For foreigners, it costs Rp450,000 (US$31.50) for an adult and Rp225,000 (US$15.75) for a child. For Indonesians, the price is Rp225,000 (US$15.75) for an adult and Rp162,500 (US$11.40) for a child. You don't need to book in advance but you can see a bit more information here. Time Travel Turtle was a guest of the Indonesian Ministry of Tourism but the opinions, over-written descriptions and bad jokes are his own. Looks like an amazing place that definitely needs to be showcased to the world. Not sure I would want to see it while it is packed though. Places like this need to be seen at a slow pace in solitude. I think it would be a really different experience to be there when it’s full of tourists. There was something a bit special about being there as the sun came up. Ah.. it must have been nice to be able to dispatch 200 men to find stuff for you. 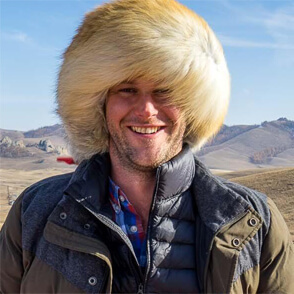 I wonder how one does that. Things that are this old simply boggle my mind…great stuff. That looks like a truly amazing place and I never even heard of it before now, just goes to show , you learn something new every day. Thanks for sharing. I have to confess, I hadn’t heard of it before I starting looking into the Indonesia trip. But it’s such a beautiful place that I’m very happy to be sharing it with people! Already in my hit list since its so close to the Philippines. Oh yeah – it’s quite easy for you to get over there. You could probably even fly straight into Yogyakarta. Thanks. It was a very photogenic place! Ha ha… I think it might be just you. Although, to be fair, it does feel like that a bit. It is definitely much nicer without the crowds – and with beautiful light in the early morning. Love the first photo! The temple looks so peaceful. It was definitely peaceful in the morning. ‘m not sure how quiet it would be later in the day when it’s full of tourists! I’ve seen many fascinating photos of this place. But I never before realize its grand scale. Its even more alluring now. I cannot wait to get to Indonesia and see it. It’s the perfect mix, though – a huge monument that is impressive from the distance… and tiny, intricate details carved into the stone when you’re close up. Oh thanks for sharing these wonderful pics, As a Buddhist It’s a shame I haven’t heard about this place, thanks for enlightening me. It’s an astounding place so I hope you manage to get there one day. It can get really packed during the day so you might find it a bit more spiritual early in the morning at sunrise. Borobudur Buddhist temples is quite quite amazing, I love the design and architecture of all the Buddhist structures that were built inside the largest buddhist complex in Indonesia. The Color of the materials used in Borobudur Buddhist temples is quite amazing. 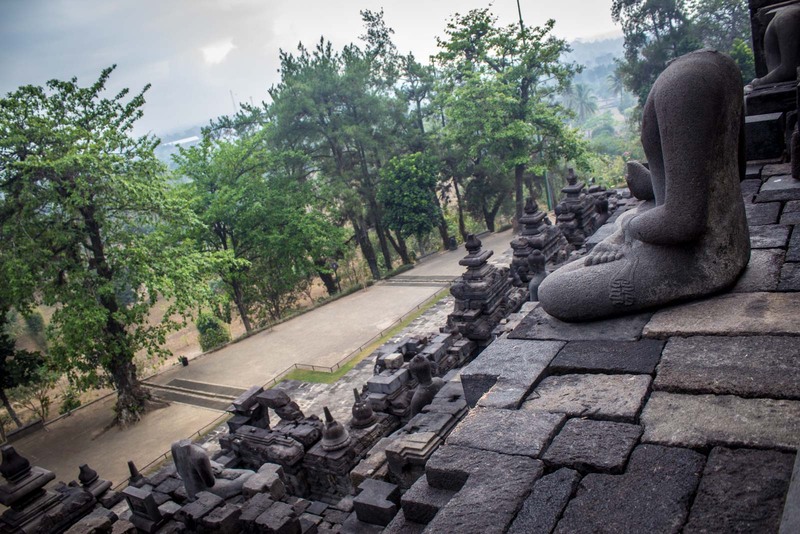 Why Borobodur lost its trace for centuries? It began when Javanese converted to Islam, looked such great temples as pagan’s house of worship, and abandoned it. My great grand parents told me that our ancestors was told that the Great Temple was a place where Devil reigned. No wonder if nowadays local tourists never give a such respect on it… They just use it as a good background to take some beautiful selfies… In some points, I feel pity of my own country. Are there any photos of the Borobudur Temple when it was still enclosed by jungle? Great question. I haven’t seen any but would love to – I imagine it would be quite the sight!! ASHORE AREA AND TSUNAMI POTECTION MUST WORK WITH 100m OR 200 m FROM ASHORE TO INSIDE THE COUNTRY. 1Km INSIDE THE COUNTRY AND 2Km OUT SIDE THE ASHORE MUST DEVELOP. DEVELOPMENTS MUST BE VEGETATION OR ENGINEERING SECTORS. HUMAN POPULATION MUST NOT USE 100m or200m AREAS. BUDDHIST MUST USE SOFT WATER AREAS AND MOUNTAIN PLACES. really nice article, very helpful. there is some destination in yogyakarta.